One of the most popular places to grab a bite in Cedar City would have to be Centro. This pizzeria is quaint and the atmosphere is fun and inviting. It’s located right in downtown where all the fun is happening. The atmosphere is modern and in a way grunge. It is by far one of the tastiest places to eat in Cedar, and you can tell by the swarms of people that are there during all hours of the day from opening to close. They have a range of delicious light pizzas, don’t be fooled, they don’t aspire to make pizzas that will stuff you, but rather satisfy those tastebuds and leave you wanting more. One 12 inch pizza is light enough for one person to enjoy without over filling or for two people to share for a lighter meal. 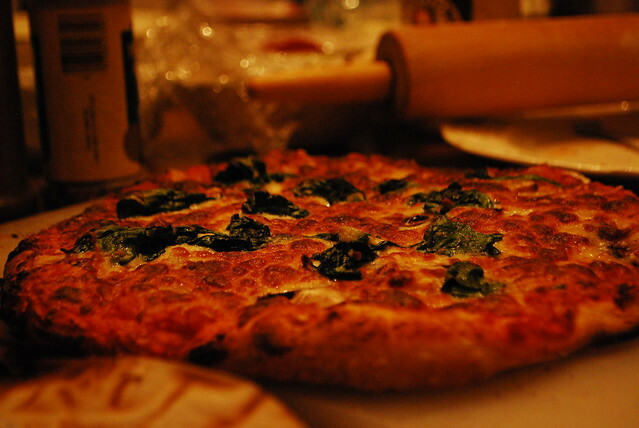 You can choose from their most popular dishes or create your very own pizza. The choices are endless! They also offer some ridiculously good salads, like their summer salad (personal favorite), and their gorgonzola salad. The pizzeria highly suggests you sit in and enjoy the wood fired pizza directly from the over rather than taking it home to go. Nothing quite beats that fresh out of the oven taste!